Counsel Lawyer Free Online service provided by Criminal Law Experts, civilian lawyers, labor lawyers, experts Immigration Lawyers. Law firm in Madrid. To see all content on this website in your language, click here. To send an email to a lawyer who speaks your language, click here. We answer your questions free legal experts advise our lawyers, please select the area of our website and fill out your inquiry form anonymously. If you need a personal appointment call us on 91 530 96 98. Free estimates. Criminal History cancellation - Evictions - Traffic Accidents - Inheritance - Divorce - Defense or Prosecution of Crime - Disabilities - Redundancies ...... We seek attorneys throughout Spain - Labor Lawyers - Criminal Lawyers - Abogagos Civilistas - Lawyers Administrative - Immigration Lawyers experts. 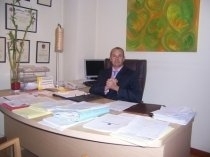 Hi, Marco Saiz Javier Vicente, a lawyer practicing since 1996. I welcome you to QuieroAbogado.com, legal portal that provides free legal advice provided by lawyers. From a simple and anonymous you can ask your legal questions, we need only to tell us your city and a valid email address for sending you the answer. From this site you will locate a lawyer willing to give you their help for free in any Hispanic country. To select the country click here. If you are a lawyer practicing in a Hispanic country and want to join our team, click here. For a speedier reply we ask you to classify the type of consultation, you can access the various fields, clicking here and be automatically directed to the lawyer. Property Administrators, Three free budgets for Managing Your Community. * Assistance to Detainees at the police station as both courts. * Cancellation of judicial and police records. * Defense and Private Prosecution in Speedy Trial. Blood alcohol level, driving without a license or total loss of points. Gender and Domestic Violence. Ordenes de Protección. Orders of Protection. * Defense and Prosecution in all types of Criminal Procedure. * Defense and Prosecution in Juvenile Criminal Records, to the Office of Juvenile and Juvenile Courts. * Drafting and supervision of contracts, payroll, redundancy and settlements. * Assisting Workers on unfair dismissal and Objectives. * Complaints of Rights and Quantity. * Invalidez e Incapacidad. * Disability and Disability. * Social Security and Pensions. * Quantity Contracts and Claims and Obligations. * Evictions for nonpayment, on termination of the lease term and precarious. * Separation, Divorce, Paternity, Family Law in General. Non-payment of fees for payment by Community and Appeal Board Arrangements. * Traffic accidents, negligence and imprudence. * Residence and Work Permits. Rooting. * Community Card and Spanish Nationality. * Administrative Appeals and Administrative Disputes.
. * Equity Responsibility for Administration. * Ecclesiastical Marriage Nullity (we have lawyers the Rota). 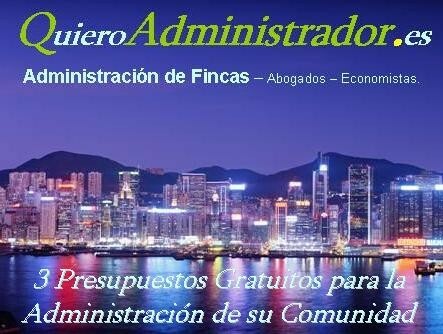 Comentarios (297) • Para realizar una Consulta debe acceder a la Especialidad Legal Correspondiente o hacerla al Letrado más próximo a su Localidad - Para ello entre en la página principal www.QuieroAbogado.com - No resolveremos consultas formualdas a través de la sección de comentarios de esta Web.